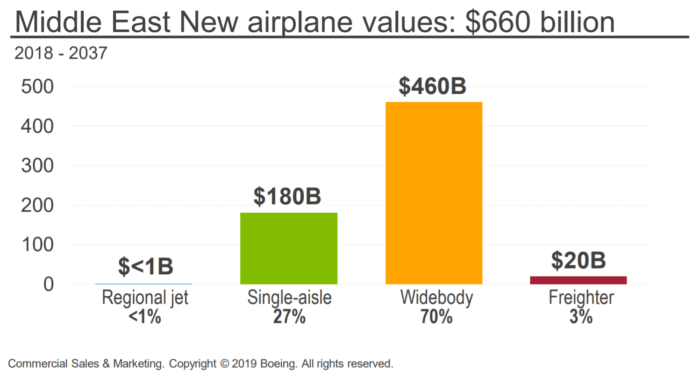 Boeing forecast that the Middle East will require $745bn in aviation services through 2037 to keep pace with growing passenger and freight traffic in the region, according to a new report released by Boeing on Monday. The growing fleet requires aviation services, including supply chain support (parts and parts logistics), maintenance and engineering services, and aircraft modification. 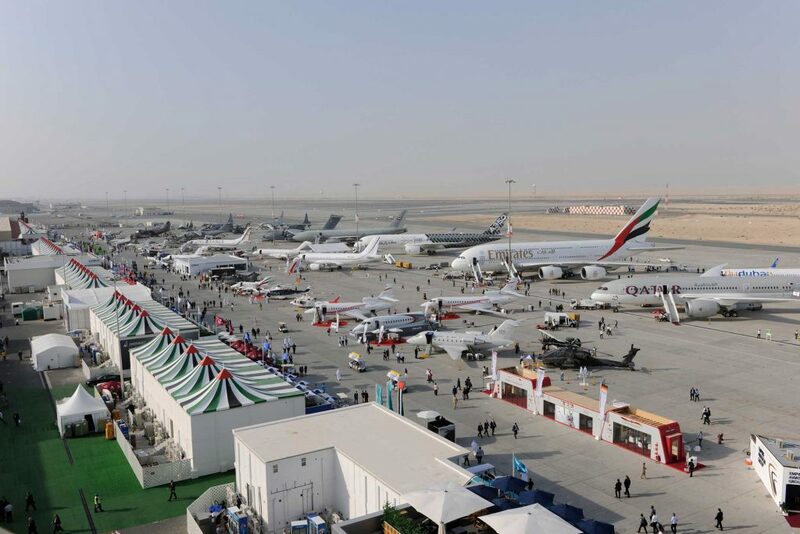 According to the report, the Middle East will drive more than 8% of global demand for aviation services, representing $745bn, and growing at a projected 4.6% annually. 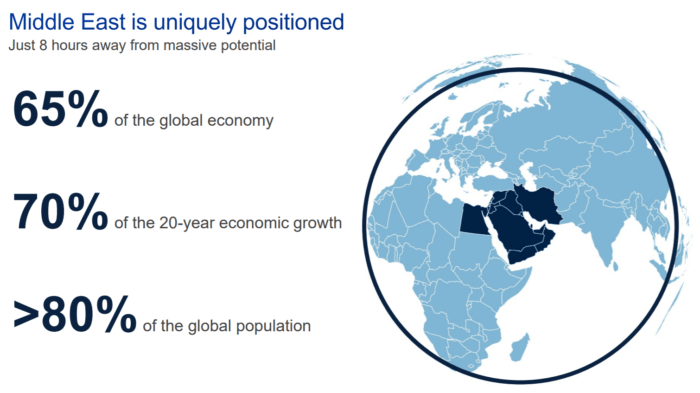 Boeing highlighted the Middle East’s unique position geographically in the world. The location of the region on the borders of Africa, Asia and Europe gives the region the opportunity to create hubs connecting east, west, north and south, in a way that many other regions simply cannot. Within eight hours flying time of the Middle East, carriers can reach 65% of the global economy and around 80% of the world’s population. And with fifth freedom flights and new airline partners, Middle East carriers can look forward to literally connecting anywhere with anywhere. “The Middle East is an unmatched location to connect the growing markets of Asia, Europe and Africa. This feeds the appetite in the region for new commercial airplanes and the services to operate and maintain those jets,” Ihssane Mounir, senior vice president (Commercial Sales and Marketing) for The Boeing Company. Boeing has a unique advantage in providing aviation services as it can draw upon the expertise of its commercial airplanes and defence businesses to provide more value to customers. “Our Middle East customers gain tremendous value when we pair their operational knowledge with our OEM expertise, advanced technologies, and decision support tools to help maximize efficiency in their operations,” said Debra Santos, chief marketing officer (Commercial Services) for Boeing Global Services. Boeing Global Services continues to outpace the aerospace services market growth rate of 3.5% as it broadens its portfolio of solutions to meet customer needs. Operating as one of Boeing’s three business units, Global Services is headquartered in the Dallas area. 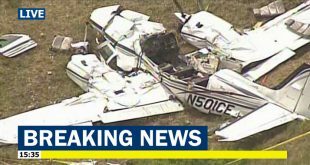 The required aviation services, including supply chain support (parts and parts logistics), maintenance and engineering services, and aircraft modification.